Can you imagine Brandon jamming out to Adele or singing Natasha Bedingfield’s “Pocketful of Sunshine”? 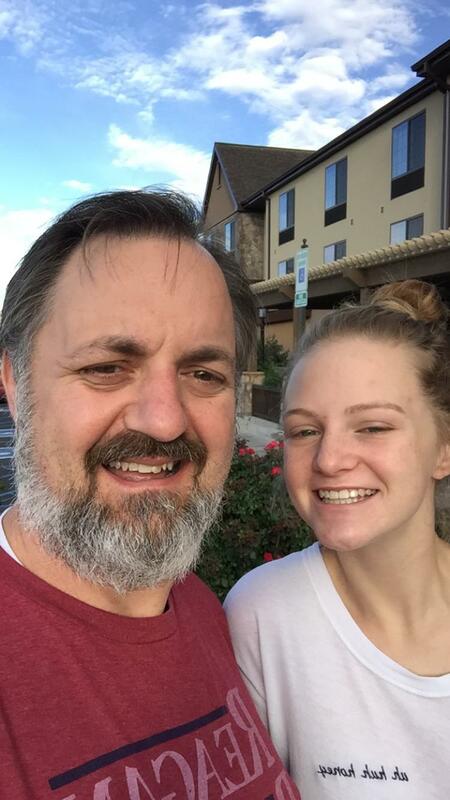 That has been just the start of his father-daughter vacation with Maddy as they drive from Texas to New Mexico and on a loop back to Texas. After seeing sites like the International UFO Museum and Research Center in Roswell, New Mexico and the Bottomless Lake, Brandon and Maddy take a moment to call in for an interview and update on how things are going from their hotel room in Colorado Springs, Colorado. As you listen to this episode, you’ll realize that the sites and activities do not matter as much as spending time together with family. Brandon is intentional about setting aside one-on-one time with his children and step-children. Maddy has had quite a bit of say in where they go on their trip, and she gives some advice on how to make a trip like this worthwhile. They also discuss what went into planning this trip, and how you can do it, too. Share with us what your more memorable family vacation was. Was it from your childhood? What do you remember most, and why is that memory so magical for you? Comment below and let us know. We’d love to hear from you. Now, I leave you with a music video of “Pocketful of Sunshine” by Natasha Bedingfield, so you can try to picture Brandon wailing away with Maddy in a car in the middle of the desert. Good times.